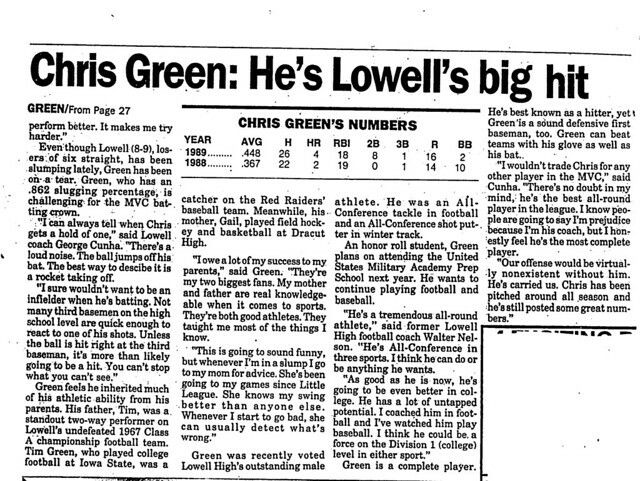 One of the most versatile athletes in the storied history of Lowell High School, Christopher Green competed in no fewer than five sports–baseball, football, track, golf, and basketball–during his years as a Red Raider, winning varsity letters in four of them. 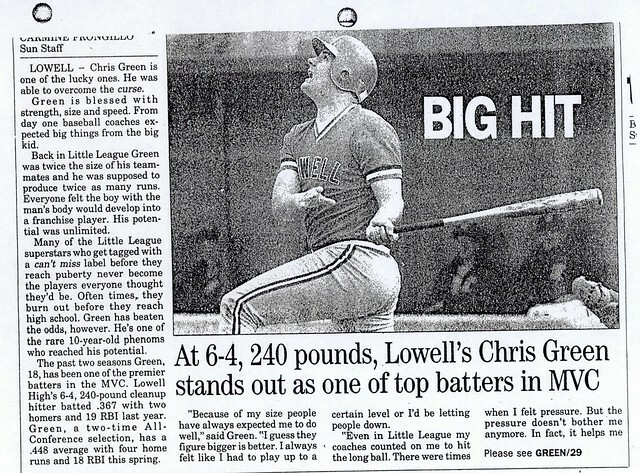 One of the most devastating hitters during the long tenure of LHS Baseball Coach George Cunha, Chris struck fear into Merrimack Valley Conference pitchers during his varsity career. 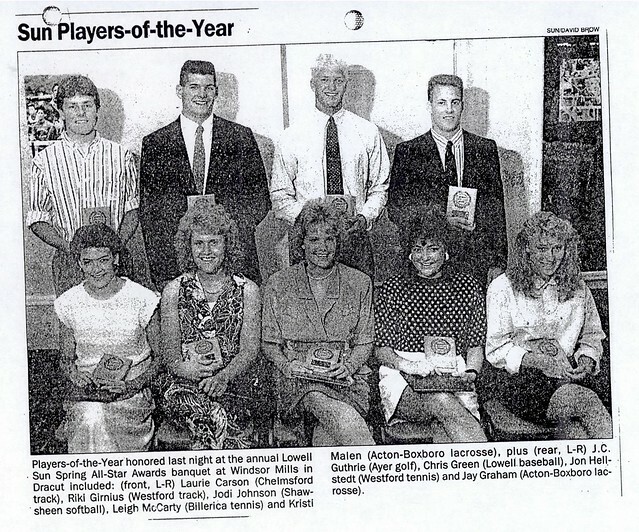 Chris’s career statistics include a .407 batting average, 7 home runs, 37 runs batted in, and a slugging percentage of .862–all among the best in the diamond history of LHS. 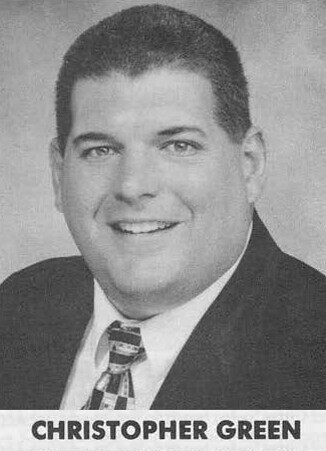 The two-time LHS Most Valuable Player and MVC All-Conference selection dominated the area’s pitchers during his senior season (1989), compiling a .448 batting average while hammering 4 home runs and garnering 18 runs batted in. Named MVC Co-Player of the Year and Lowell Sun Player of the Year after this outstanding performance, Chris were selected as a member of the Boston Globe’s All-Scholastic team. A stalwart two-way player for Coach Walter Nelson’s Red and Gray football teams, Chris was named to the Merrimack Valley All-Conference team as a defensive tackle in 1988. Completing a rare “triple” during his senior year at Lowell High School, Chris was named MVC All-Conference in the Shot Put during the Indoor Track campaign, thereby achieving the rare distinction of earning MVC All-Conference honors three times in one year. 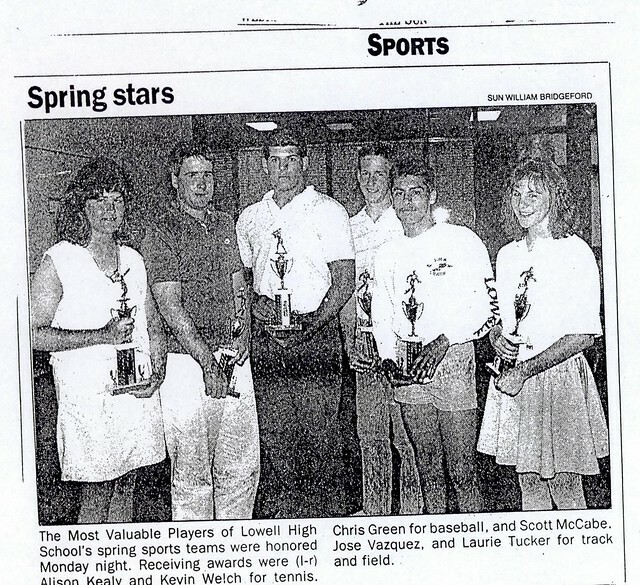 Not surprisingly, Chris received the prestigious Lowell High School Athletic Valedictory Award in 1989, presented to the Outstanding Male Athlete during his tenure at LHS. 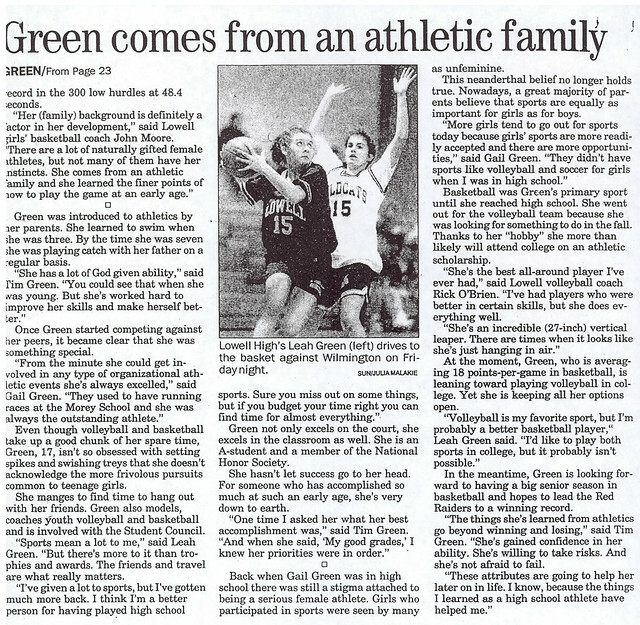 Chris continued his athletic career at the University of Massachusetts at Lowell as a member of both the baseball and football teams. 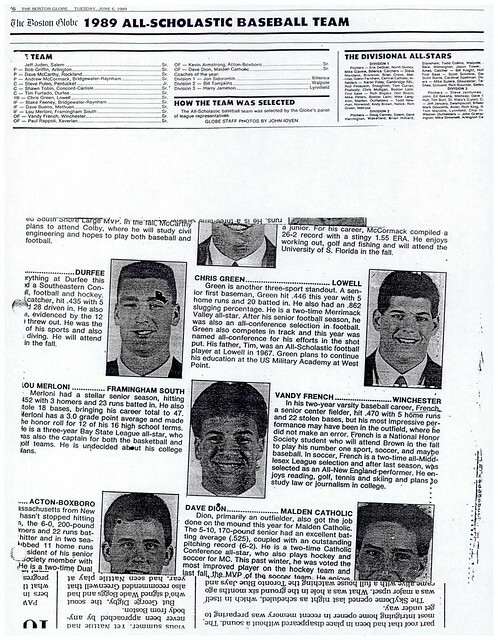 Chris was named an All-Conference offensive tackle as a member of UMass, Lowell’s Eastern Regional Championship team under Coach Dennis Scannell in 1991. 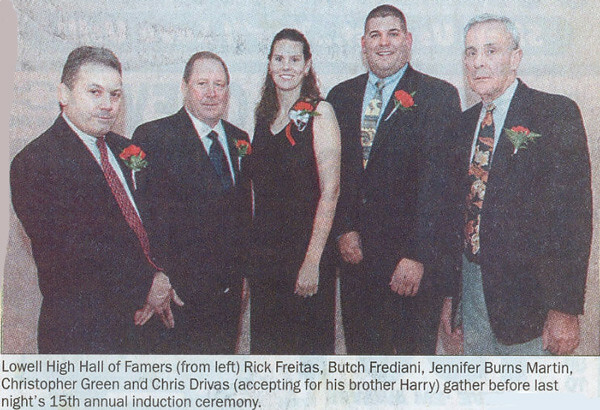 Chris joins his father Walter Timothy Green, LHS ’68 (a 1994 inductee) as the first father-son pair in the Hall of Fame. 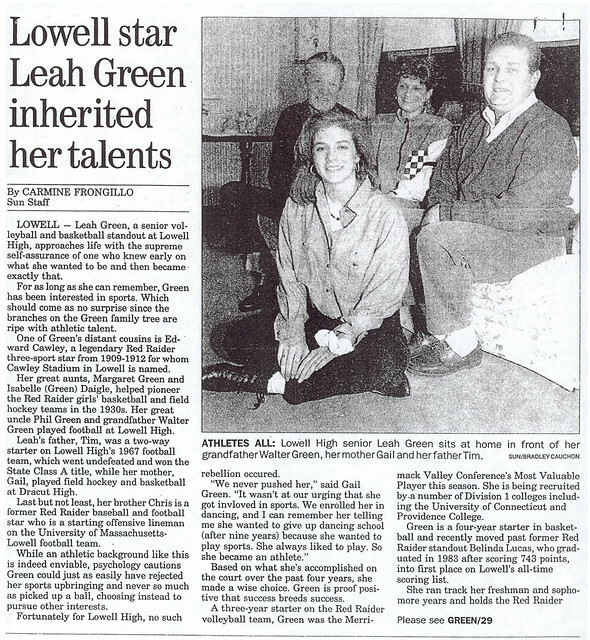 Sister Leah Catharine Green (Class of 1993, inducted in 2003) joins brother Chris Green, and their father Tim Green in the Lowell High School Athletic Hall of Fame, and they become the first father-daughter pair in the Hall of Fame.